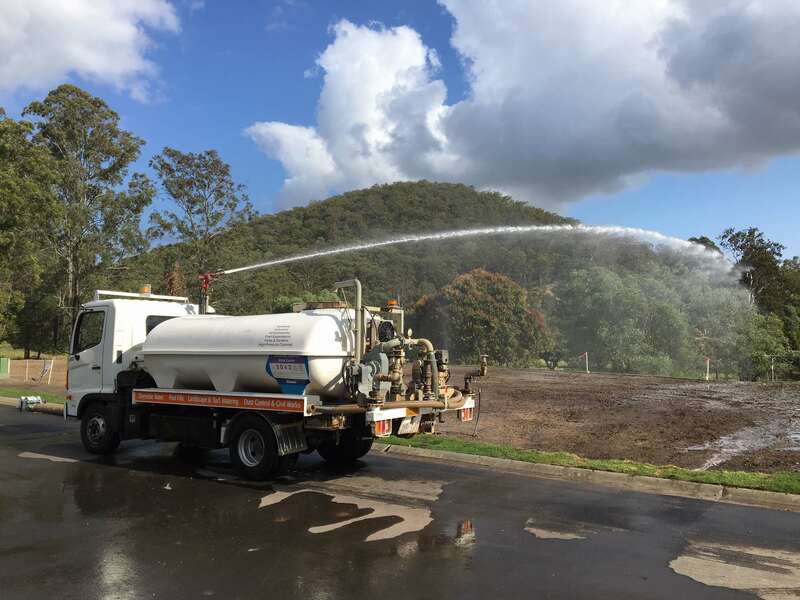 Commercial & domestic landscape watering is Queensland Water Supply’s speciality. We pride ourselves on offering the best mobile irrigation and sprinkler solutions along with market leading water cart hire services. Our water truck solutions are applicable to both residential and commercial projects. No job is too big or too small! With regards to our water systems and garden irrigation, we offer comprehensive water management for clients of all sizes. That’s why all the leading landscaping and turf companies in Brisbane, Gold Coast, and Sunshine Coast use Queensland Water Supply to water their plants and turf. There is no irrigation job, water systems project, garden irrigation project beyond the abilities of our water truck fleet. Our water carts can apply water with great ease in a safe and controlled manner to water plants and to assist with garden irrigation. From commercial landscape water supply to backyard renovations, our water systems can handle any amount of water volume required to get your landscape job done. Whatever your irrigation or water systems/sprinkler requirements are – Queensland Water Supply has the right piece of gear and expertise to get your job done right!